You guys! I am literally so thrilled to tell you about a little something today! As you all know, we recently went on vacation to visit my family (which I'll be blogging about soon), and when we got back we had a little package waiting for us that came in the mail while we were away. 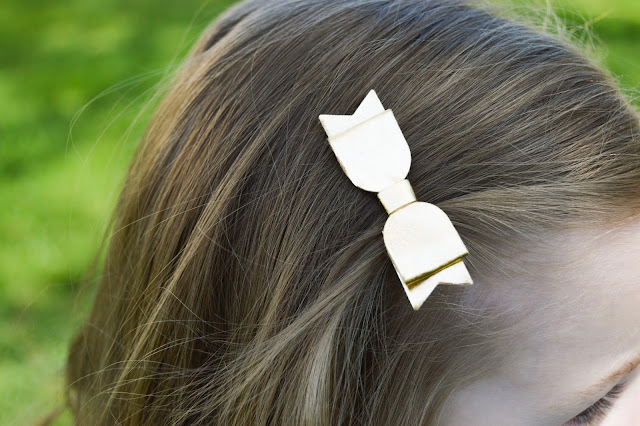 The prettiest little set of hairbows ever! 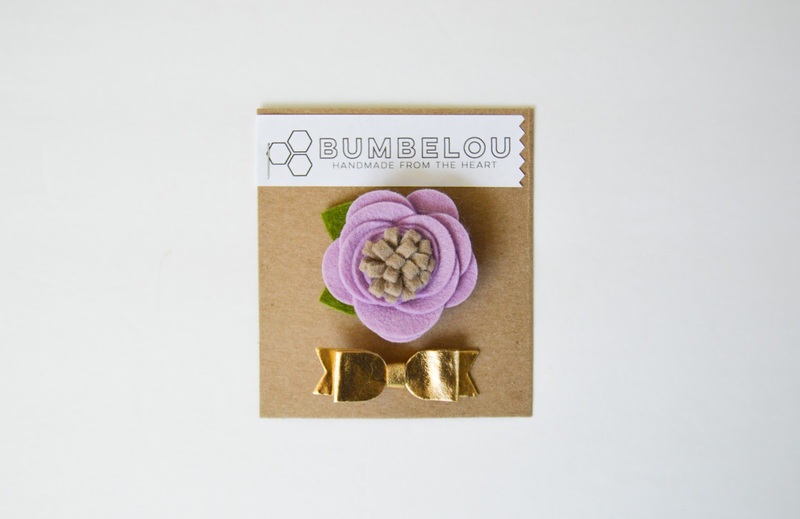 I'm extremely excited to tell you all that I had the opportunity to curate a hairbow collection with Bumbelou hairbows! When I was contacted by Jenna (the owner of Bumbelou) I was beyond ecstatic to say the least! I mean, it's not everyday you get to curate and design hairbows! 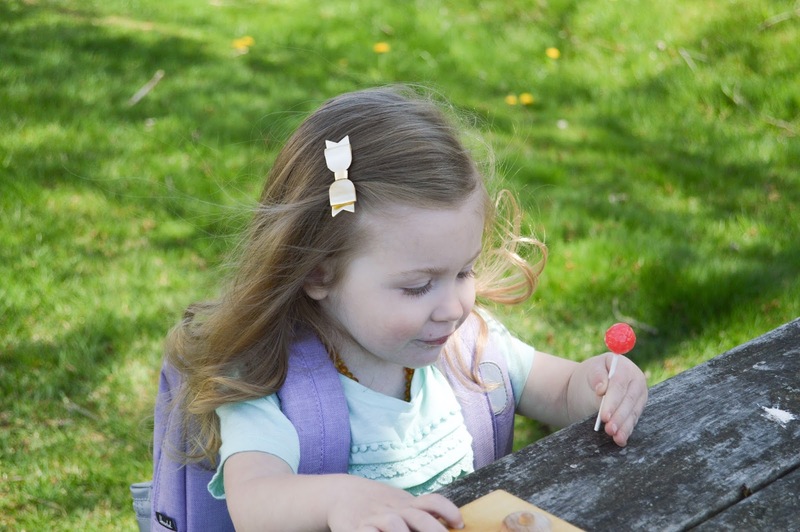 I'm a girl mom so hairbows are a big part of our lives, we are hairbow lovers obsessed with, well... hairbows! Especially these! 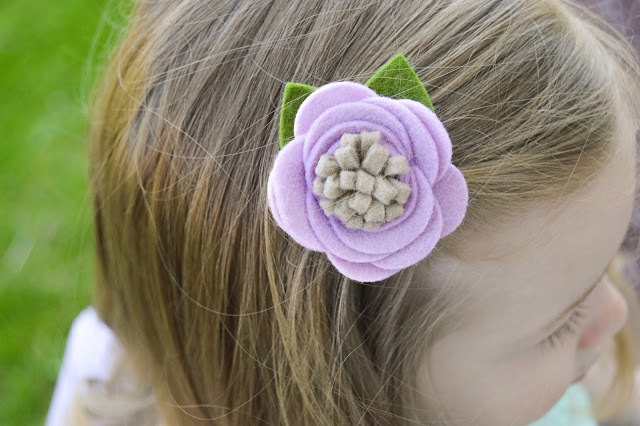 Our little family is very into the outdoors, all things botanical and floral, so that's why I chose the blossom hairbow as one. And the color lilac because not only is it one of mine and my husband's favorite flowers, but its also one of mine and Bella's favorite colors AND it's one of the main colors in the theme of her big girl room (which I'll be revealing soon! Yaaaaayyy!). I feel that the gold bow is pretty straightforward and classic. Clean lines and you can never go wrong with gold, or any metallics for that matter. 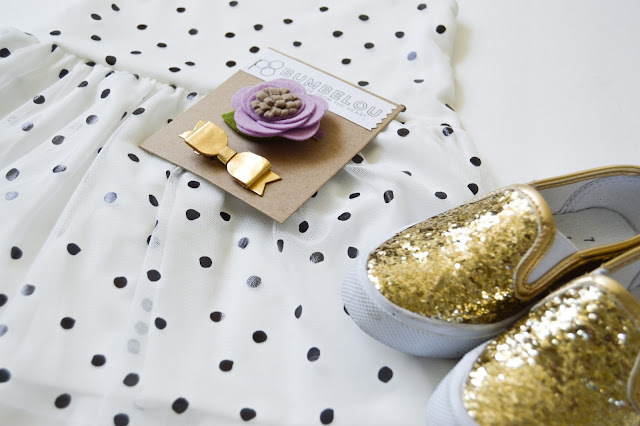 It goes with pretty much any outfit and for any occasion. 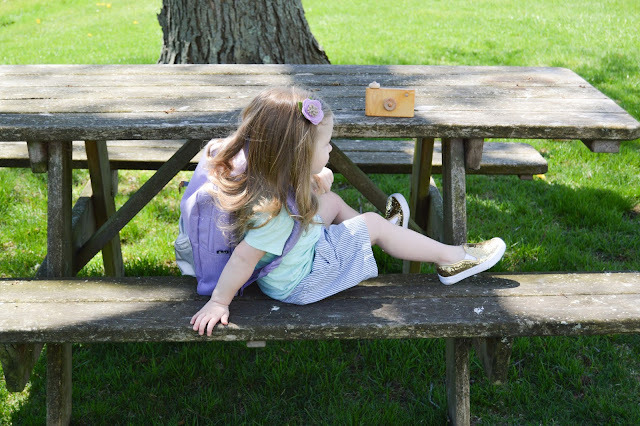 Today we paired these adorable bows with one of our new favorite outfits, a mint shirt, striped shorts, gold shoes and our favorite backpack! Either bow goes well with this outfit and we had a blast playing outside, eating a lollipop and bird watching. 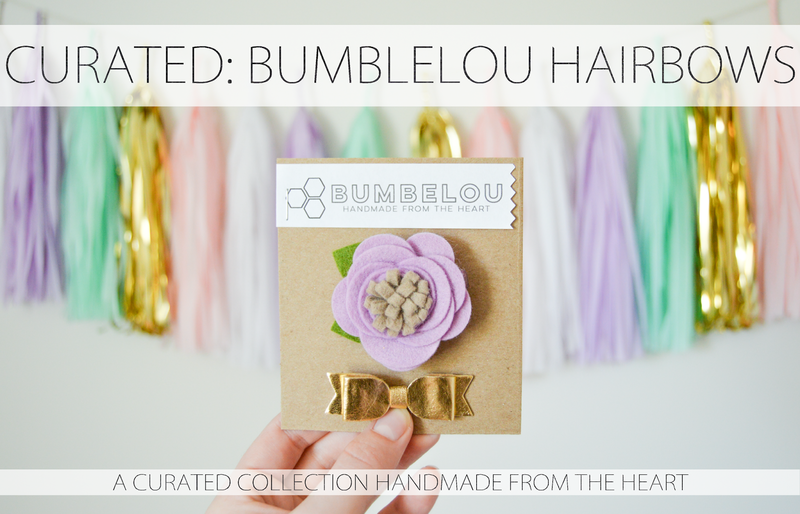 This sweet collection is available THIS WEEK ONLY in clips (which is what we chose) or headbands, so click here or head over to Bumbelou to get your snag a set for your little, a friend's little or even yourself! And don’t forget to save 10% all week with the code "SAVEWITHAPRIL"! April! I love these, so adorable. I need to get my Emmy to wear bows more, she always takes them out!